Thomas McNulty, aged barely 17 and having fled the Great Famine in Ireland, signs up for the U.S. Army in the 1850s. With his brother in arms, John Cole, Thomas goes on to fight in the Indian Wars—against the Sioux and the Yurok—and, ultimately, the Civil War. But Barry’s business extends beyond intense and visceral description, though that persists through a narrative that eventually encompasses the American civil war as well as increasingly complex interactions with indigenous communities. It also captures the development of Thomas and John’s relationship, the men’s sexual attraction to one another announced early in the novel by the simple, paragraph-long sentence: 'And then we quietly fucked and then we slept.' 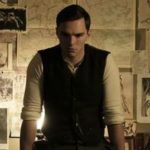 What makes this strand of storyline unexpected is that it ushers in an exploration of gender fluidity and a redefinition of family that seems to scream anachronism but is nonetheless convincing ... In the years immediately before the civil war, America is shown as a country defined by lawlessness, ambition and plasticity; afterwards, it seems more hopelessly fractured, haunted by what has befallen it ... Days Without End is a work of staggering openness; its startlingly beautiful sentences are so capacious that they are hard to leave behind, its narrative so propulsive that you must move on. In its pages, Barry conjures a world in miniature, inward, quiet, sacred; and a world of spaces and borders so distant they can barely be imagined. ...this is a busy novel: a bloody war saga that also happens to be a tale of forbidden love; a lament for those who perished during the Great Famine, and a paean to the vigor of the natural world ... [Barry] writes with intensity and confidence. 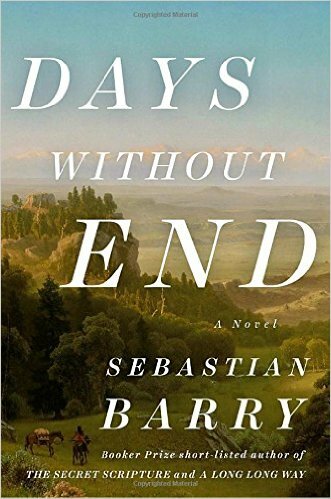 No one can outdo Cormac McCarthy when it comes to evoking the feral, punishing nature of frontier life in the 19th century, but at times, Barry comes pretty close ... Days Without End spends much of its time on the Thomas-John relationship. These scenes are moving and tender ... Barry is expecting too much, however, when he asks the reader to accept a jarring plot turn that occurs in the novel’s first half: Thomas and John’s adoption of an Indian child. In an otherwise immaculately structured book, this is an egregious misstep considering the role Thomas and his fellow soldiers play in decimating the Indian population. The tone-deafness of this narrative development reduces the novel’s appeal, but Days Without End is still powerful and unsettling, an important look at one of history’s most regrettable chapters. What did you think of Days Without End?